When it comes to Turkey Day, more is more. There is not a Thanksgiving dinner that goes by without second- and third-helping, and inevitably, the ceremonial unbuttoning of the pants—constraining clothing need not apply for a seat at this holiday table. 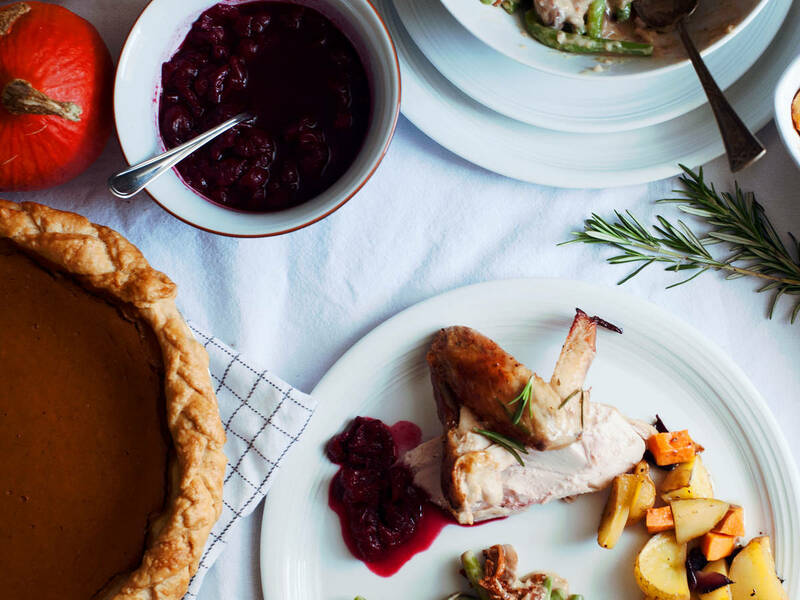 In an effort to keep you full and satisfied, we’ve put together the ideal Thanksgiving menu. Sure, it takes some time to pull together, but that’s half the fun. Refer to the Thanksgiving Planning Guide for help staying organized, then get cooking! You’ll be rewarded tenfold when it comes time to eat. No Thanksgiving is complete without the star of the show. This recipe results in a juicy, tender bird that is equally great as leftovers. Brussels sprouts have made a comeback in recent years, and there’s a reason why. They’re easy to prepare, infinitely adaptable, and full of flavor. Creamy potatoes in any form are always welcome at the Thanksgiving table. This recipe can be made in individual portions or as a big batch in a casserole dish. A Thanksgiving classic, you’ll love the combination of green beans and fried onions—not to mention how easy this no-bake recipe is. Every Thanksgiving table has a circulating basket of dinner rolls—even better is one filled with warm, gooey, cheese-laden popovers! Pumpkin pie is a classic for a reason—don’t mess with tradition! No Thanksgiving is complete with only one pie. You need at least two! And this one is a crowd-pleaser.